Originally from Seattle, Washington, I came to saving faith in Jesus just before my 13th birthday. I was immediately ushered into spiritual growth because every step I took as a Christian was in opposition to the foster father of the family with whom I was living. I grew in my relationship to Jesus through all sorts of different life experiences and, through the years, have learned more and more what it means to trust Him in every situation. I attended Tennessee Temple University in Chattanooga, Tennessee, and graduated with a Bachelor of Religious Education. I moved to the Twin Cities in late summer of 1983. Over the years I have taught ladies’ Bible studies, counseled at camps and other youth functions, and taught at a couple of Christian schools. 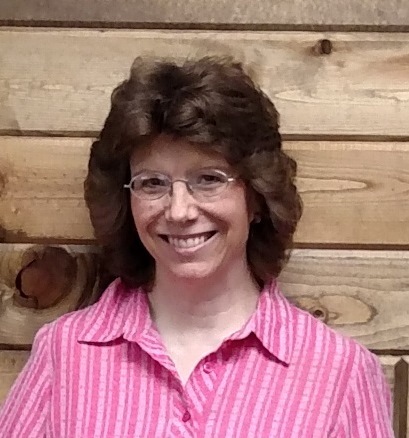 For six years I worked as the Executive Assistant for Jan Markell at Olive Tree Ministries. And now, I’m at MapleRidge Church! I love what I do and thank God almost daily for giving me an opportunity to serve Him in this capacity! My family is feline! I have four girls: Sunset, Talitha, Kiki and Darby-Booth. I love that there is someone to welcome me when I come home at night! Southern Gospel Music: When I’m not clicking the keyboard at MapleRidge Church, one of my outside ministry passions is promoting southern gospel music concerts in the Twin Cities. God absolutely uses music in people’s lives and it is so very rewarding to have someone come up to me after a concert in tears to tell me how God used the music that evening to minister to their spirit! This is an avenue of service God had to gently nudge me into, and I’m so glad He did! Praying for Hollywood and the media and entertainment industry: I am also co-director of the Minnesota chapter of The Hollywood Prayer Network. We pray for those who need Jesus in Hollywood, and for industry professionals in Hollywood and Minnesota who know Jesus – we call them “missionaries.” This is a field that the church often neglects – and it is likely the most influential mission field worldwide. The people in Hollywood need Jesus. So we pray they’ll come to know Him and that those who know Him will be ready to speak to their fellow industry pros about His love. I enjoy reading, music, biking, embroidery . . . and I’m an incurable fruit-a-holic! Safely Home (Randy Alcorn) – A novel with a poignant message about faithfulness to Christ in the midst of persecution. Jesus, the Man Who Loved Women (Bruce Marchiano) — Based on Jesus’ encounters with women during the time of his ministry, this tender book uncovers how time and again Jesus went against the traditional conventions of His era by treating women with respect and love, showing the world what a vital role they play. Heaven (Randy Alcorn) – To the question, “What will Heaven be like?” author Randy Alcorn presents a thoroughly biblical answer based on years of careful study. Just Do Something: A Liberating Approach to Finding God’s Will (Kevin DeYoung) – Debunks unbiblical ways of understanding God’s will and constructs a simple but biblical alternative: live like Christ.